The history research team is writing stories about how the War of 1812 affected southwestern Ontario. One story will accompany each block of the War of 1812 quilts that are currently being stitched and designed. I found this wonderful map on-line at the University of Illinois. We’ll post maps as we find them and start sharing some of our stories soon. The Thames River is also known as Askunesippi and La Tranche: here it is “the Long River without Falls”! North of the Red/Green Line: Canada! Posted on December 12, 2011, in War of 1812 and tagged Map. Bookmark the permalink. 1 Comment. 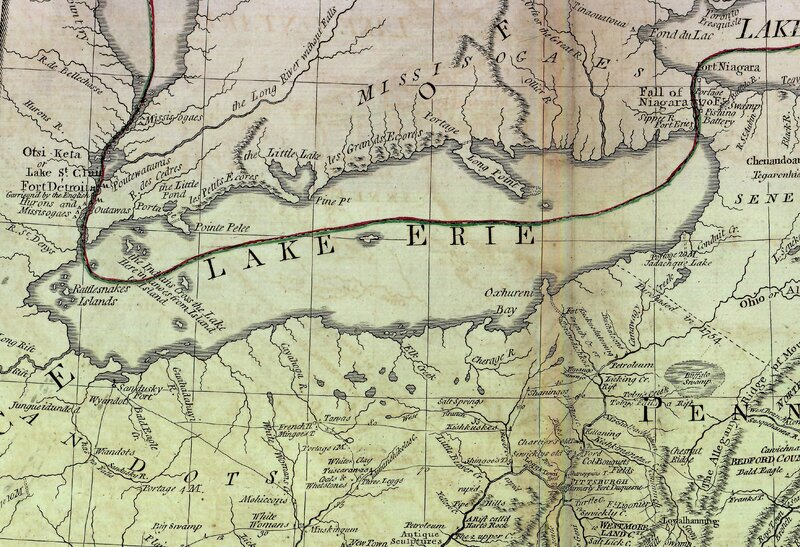 Here is how the United States of America viewed southwestern Ontario in 1794. 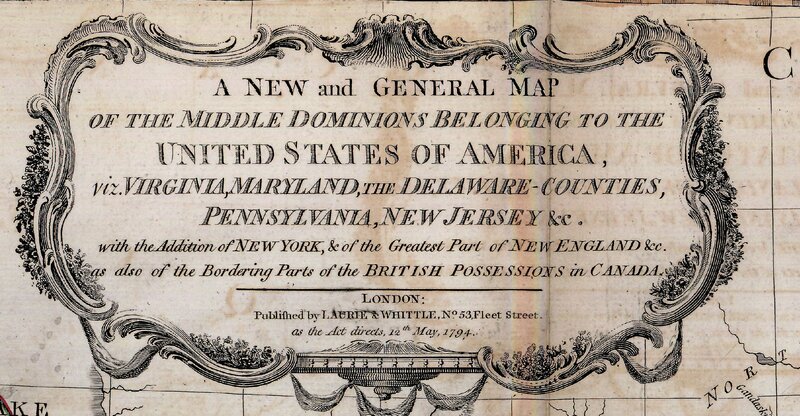 Eighteen years before the War of 1812.